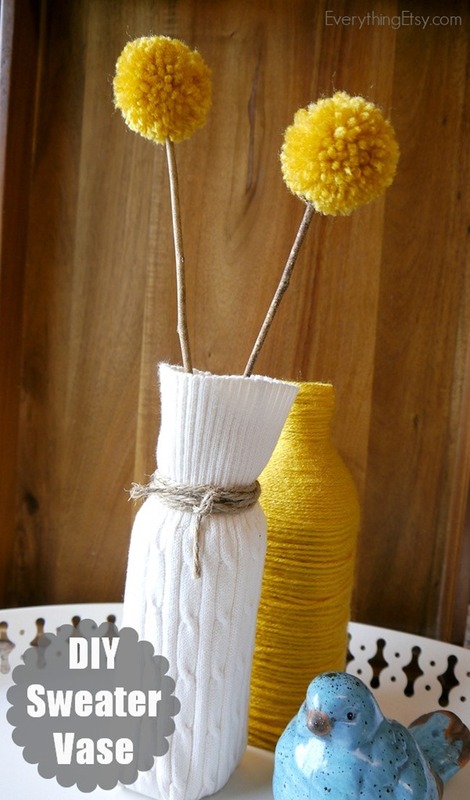 This DIY Sweater Vase is one of the easiest home decor projects ever! 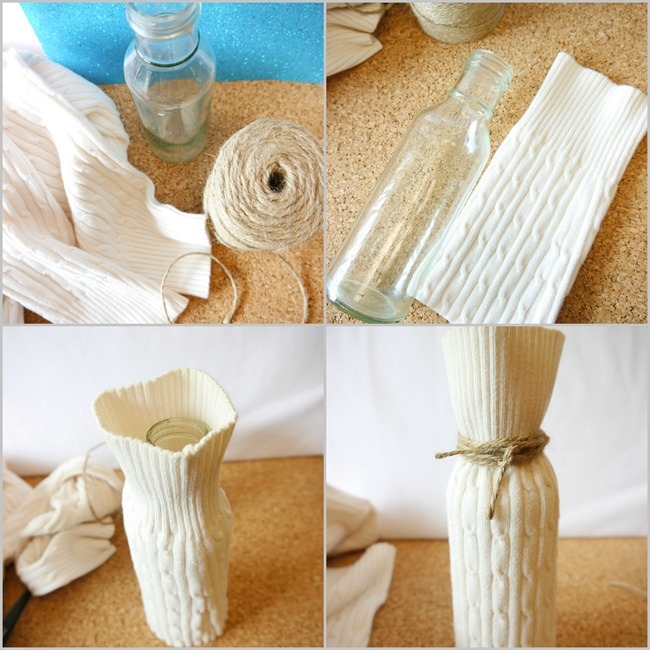 It’s an awesome way to upcycle old sweaters and bottles…seriously this project didn’t cost me a cent to make! That’s the way to do it, right?? I’m sure my husband thinks so…ha! I’ll quickly show you the steps and you’ll be on your way to creating your own in no time at all! Simply take your sweater and cut a sleeve to the length you would like to slide over your bottle. Slide it over your bottle and check for size. Trim if needed. Wrap the twine around a few time near the top and tie a knot or bow. Add a bit of glue to the bottom of the bottle and attach the ends of your sweater. That’s it! 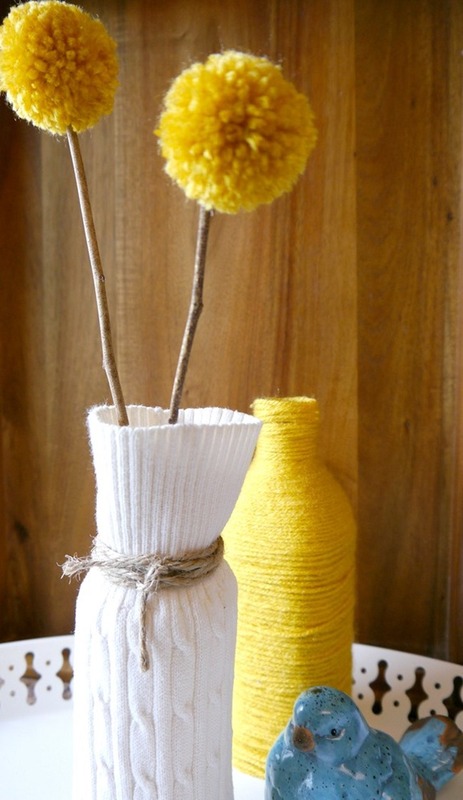 I just added some pom pom flowers and called it a creative day success! 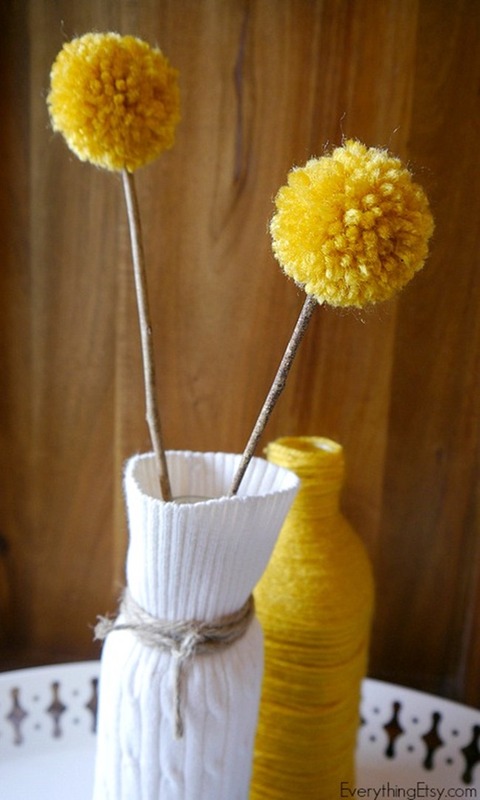 You can see the tutorial on pom pom flowers here. They’re so fun to make and I love when projects don’t cost a cent! I’ll be making a few more in pretty colors, but this one seems just right for this time of year. I’d love to hear how you upcycle sweaters!